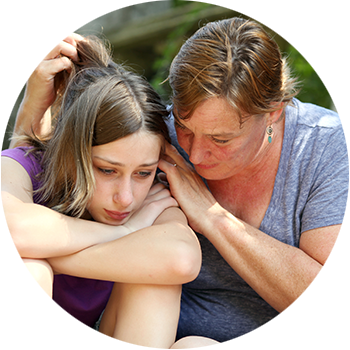 We share what to do if a child you know is self-harming. ...might leave you feeling upset, worried and confused. "Some children may hide their self-harm injuries, while others might show their scars in public." Self-harm varies from person to person. There isn’t one type of self-harming behaviour. …is to ask the young person when they are feeling safe and supported enough to talk about it. There is support out there to help you and your family. If you want to learn more about how you can support a child who self-harms or want more resources on this issue please give us a call on 1300 30 1300 (QLD & NT). Not in QLD or NT? Check out this list of Parentline services in your state or territory.